But one thing I will say in your presence, O YAHUAH. What, therefore, will there be after these things? Baruk is concerned about the posterity of his people. If YAHUAH is going to destroy the city, and send his people into captivity, what will happen to the posterity of Yahud? To whom will YAHUAH direct, in concerning of the Torah, teach the way of YAHUAH? What about the Temple, the priesthood? For if you destroy your city, and deliver up your land to those that hate us, how shall the name of Yashar’el be again remembered? Baruk's question is answered in the following Scripture. Let us take solace and comfort in YAHUAH'S words that even though Yashar'el is a rebellious house, YAHUAH will not blot out his people from the face of the earth. We have a promise from Tehilliym (Psalms) 83 that Yashar'el will survive the threats of its enemies. Or how shall one speak of your praises? Or to whom shall that which is in your Torah be explained? 7 Or shall the world return to its nature of aforetime and the age revert to primeval silence? 8 And shall the multitude of souls be taken away, and the nature of man not again be named? And where is all that which you did say to Mosheh regarding us? We know that YAHUAH will keep his promises concerning his people Yashar'el. The day is closing when those promises will be fulfilled in which his servants the prophets had foretold. Hear the Word of YAHUAH, O ye nations, and declare it in the isles afar off, and say, He that scattered Yashar'el will gather him, as a shepherd his flock. In the meantime, my Eth CEPHER app brethren, keep digging for the truth. Continue to take advantage of the robust search engine provided in the app. A great example below is the searching of the phrase "ten tribes". 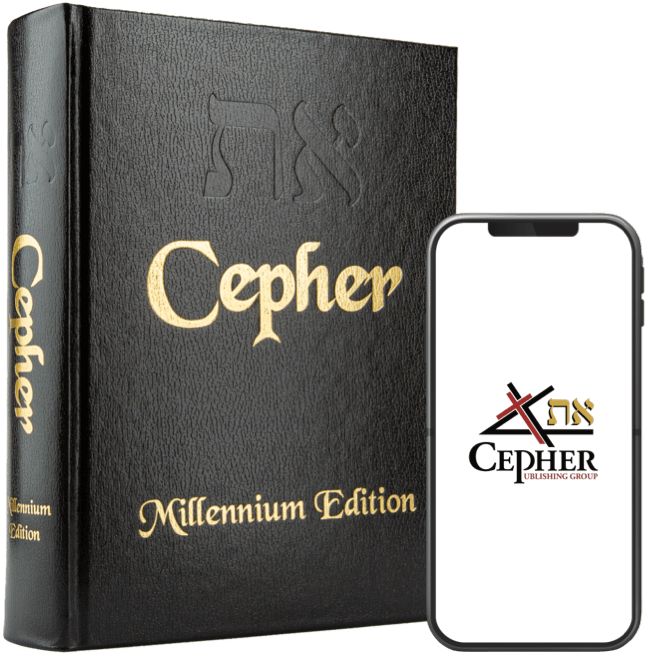 The app allows you search across all 87 books of the Eth CEPHER in which you get results that will not get in any other app on the market.